Boomtown is a popular TV serial aired on 14 August 2013 on BBC3. Here Dorota acted in all the six parts in different roles. She acted as the President, a detective, a Mermaid and in other roles. For each story, she wrote the scripts. She also acted brief roles from Hollywood blockbusters like Notting Hill, Jerry McGuire and Dirty Dancing. 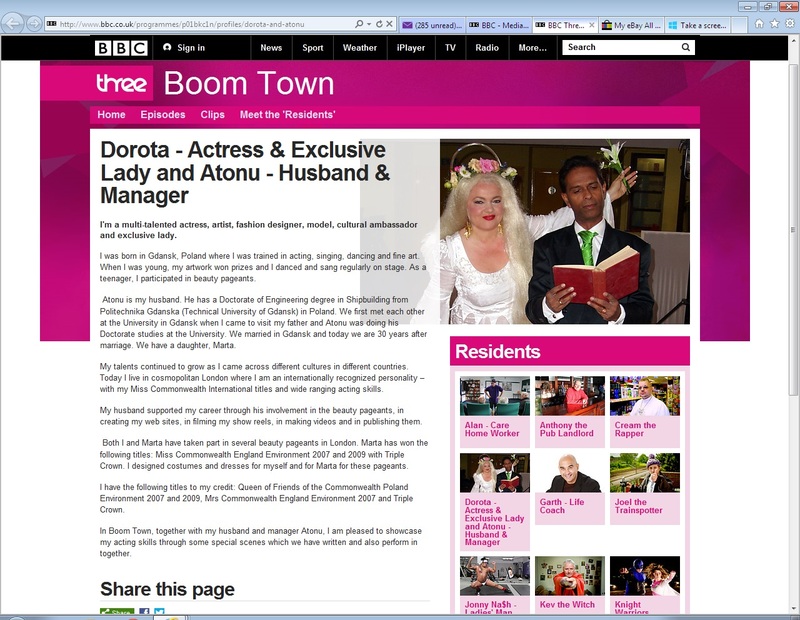 BBC3 wrote about Dorota in their website. The print screen is given below.